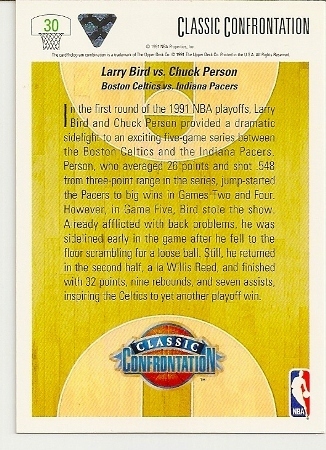 1991-92 Upper Deck Larry Bird vs. Chuck Person Classic Confrontation Card. 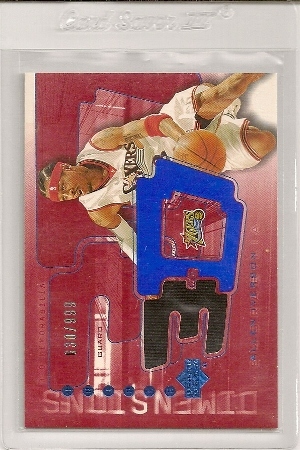 Boston Celtics, Indiana Pacers. 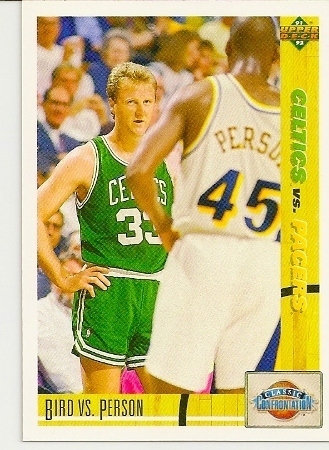 Up for sale is this 1991-92 Upper Deck Larry Bird vs. Chuck Person Classic Confrontation card. It is card #30. 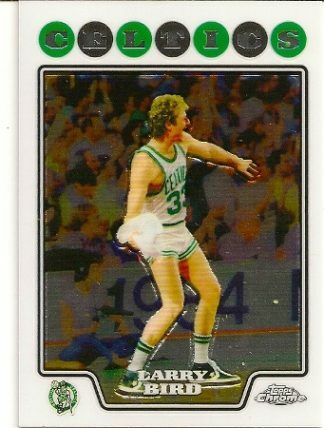 Larry Bird and Chuck Person had some heated match-ups back in the 1980’s and early 1990’s. It was a ton of fun to watch. 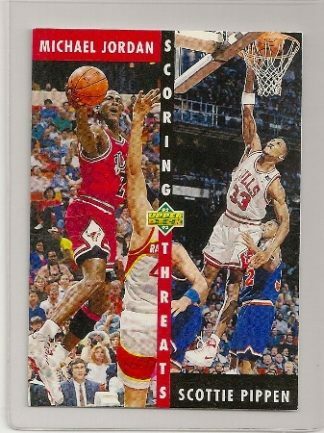 Chuck Person was a very good, underrated NBA player. 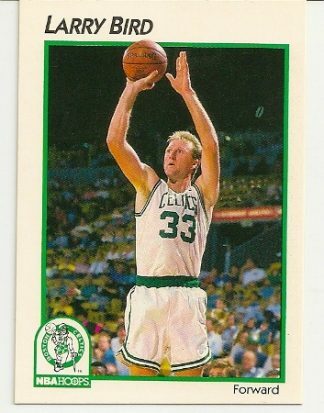 But boy, he had a mean streak in him and Larry Bird used to try and get under his skin. I miss those days! 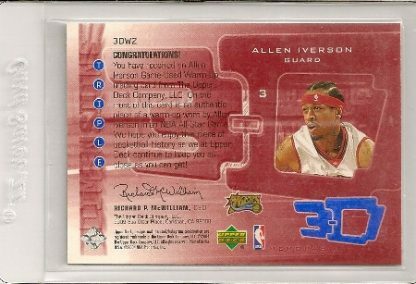 Below is a video of one of these Bird vs. Person Classic Confrontations. 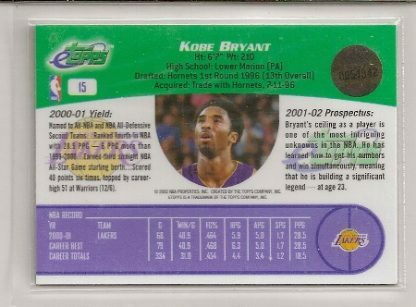 2001 eTopps Kobe Bryant Basketball Card #15. 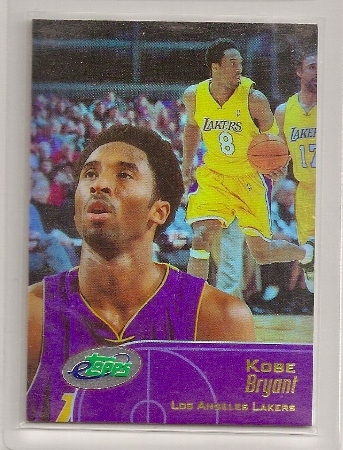 Los Angeles Lakers.